Ms. Catherine Larkin Ward, of 108 C Brookins Circle, Milledgeville, Georgia passed away on Wednesday, January 16, 2019 at Chaplinwood Health and Rehab, Milledgeville, Georgia. Funeral services were held on Thursday, January 24, 2019 at 2:00 PM from the Victory Baptist Church, Milledgeville, Georgia. Interment followed in the Bundrage Cemetery, Deepstep Road, Milledgeville, Georgia. She was born on September 13, 1940 to the parentage of the late Mr. Otis Larkin, Sr. and the late Mrs. Lula Shinholster Larkin. Catherine visited several churches in the area and attended Walker Chapel Elementary School of Baldwin County. She was employed as a housekeeper for several families. She married the late Mr. Harold Ward and to this union was blessed with one daughter, Ms. Sheila Renee Ward. 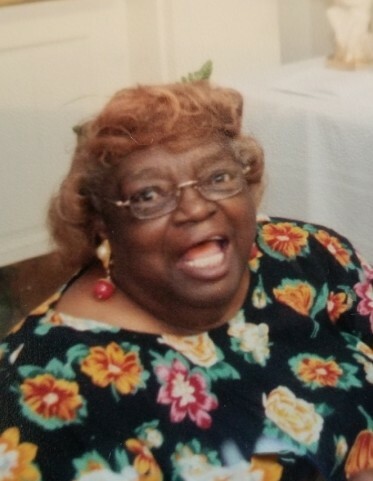 Catherine was preceded in death by her siblings: Otis Larkin, Jr., Thelmon Larkin, Louise Larkin Brown, Juanita Larkin Hurst, Runelle Larkin Waller, Lourene Larkin Cannon, Butha Larkin Butts, Carrie Pearl Larkin Simmons, Kaiser Shinholster and Emanuel Larkin, Sr.
She is survived by her daughter, Ms. Shelia Renee Ward, Milledgeville, GA; one sister, Mrs. Geraldine Larkin Stephens, Sandersville, GA; several other relatives and friends.